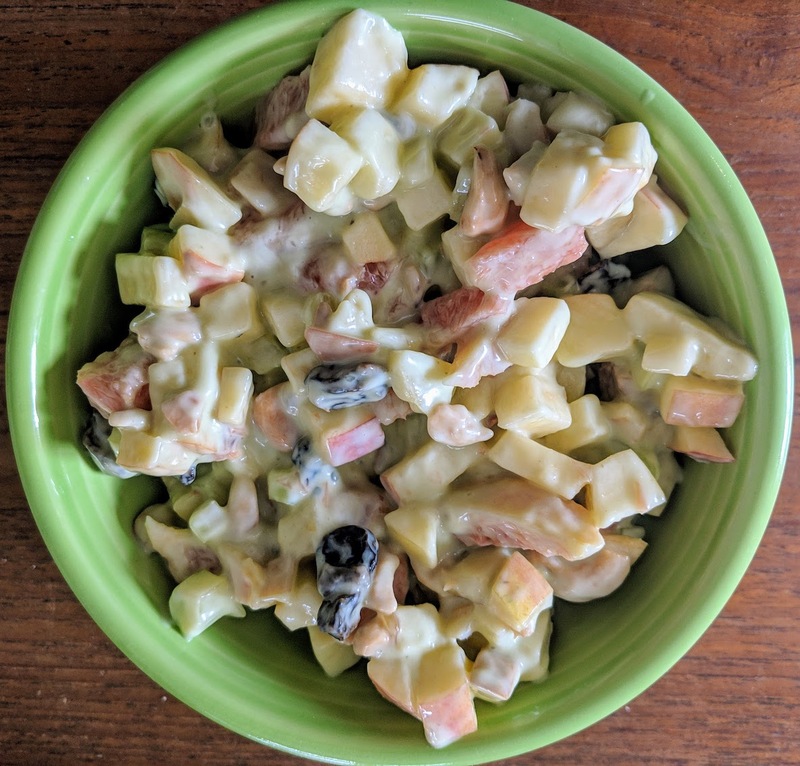 One of my all-time favorite recipes is Molly Katzen's California Waldorf Salad from the original Moosewood Cookbook. I've been making it for years and Charlie and many of my friends (e.g., Bonnie, Deborah) are big fans of the recipe. I would like to copy the recipe here, but I suppose it is copyrighted. So, I did a web search and found the recipe on-line. I've made virtually no variations on the original recipe except I usually use 2 or 3 times as much celery as it calls for and sometimes add more oranges and sometimes add more cashews.